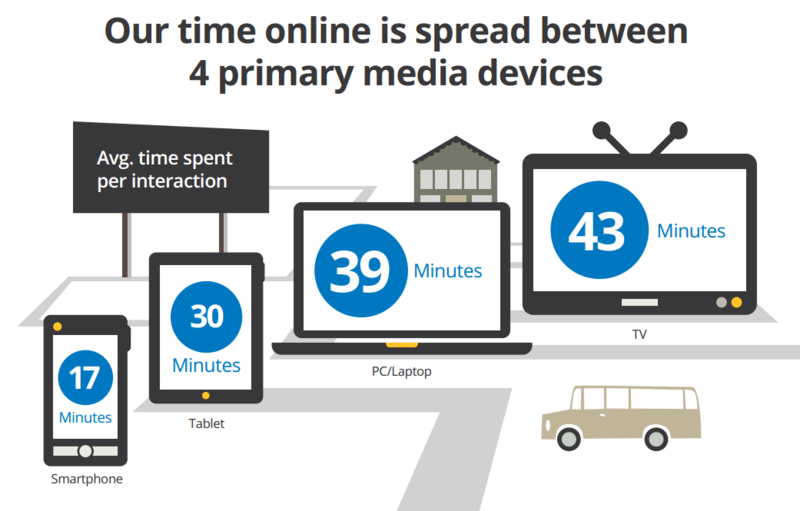 We are a nation that carries tasks from screen to screen, using desktop PCs, laptops, TV, smartphones and tablets. According to new research from Google, 90% of people move between devices to accomplish a goal. Google’s research set out to understand this inter-device reltionship. Reactive Intent – Spur of the Moment Activities Present Opportunities for Nimble Marketers. Since the devices fill in all the gaps in our day, we will often use the one which is handiest for our given situation. The research shows that 80% of all searches on smartphones are spur-of-the-moment, with nearly half of them being “goal oriented.” This presents some powerful moments for marketers to meet the consumers’ needs. It will be the challenge for marketers to recognize these moments and develop campaigns to leverage them. now I’m gonna need to read through all the old posts! So long my free time this morning, but this was a really amazing find!